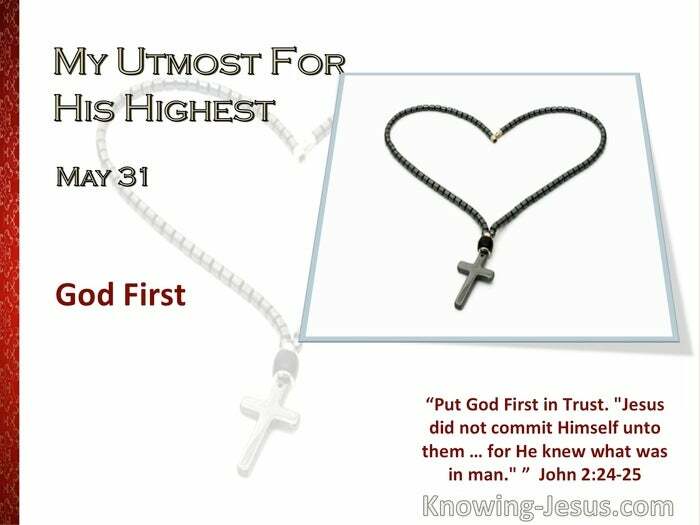 Put God's Needs First. "Lo, I come to do Thy will, O God." Hebrews 10:9 A man's obedience is to what he sees to be a need; Our Lord's obedience was the will of His Father. The cry to-day is - "We must get some work to do; the heathen are dying without God; we must go and tell them of Him." We have to see first of all that God's needs in us personally are being met. "Tarry ye until. . . ." The purpose of this College is to get us rightly related to the needs of God. When God's needs in us have been met, then He will open the way for us to realize His needs elsewhere. Put God's Trust First. "And whoso receiveth one such little child in my name receiveth Me." Matthew 18:5 God's trust is that He gives me Himself as a babe. God expects my personal life to be a "Bethlehem." 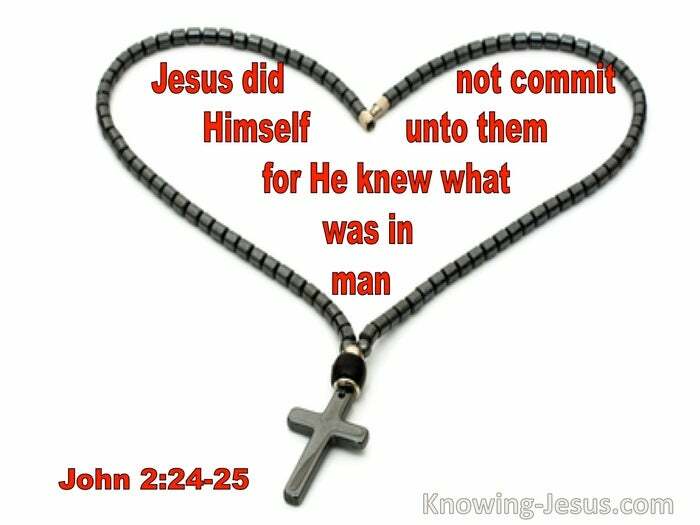 Am I allowing my natural life to be slowly transfigured by the indwelling life of the Son of God? God's ultimate purpose is that His Son might be manifested in my mortal flesh.